If you make an offer on a short sale property, be prepared to wait. Banks are notorious for taking as long as several months to respond to short sale offers. Some experts recommend that you give the lender a deadline to reduce the wait time. It’s hard to say whether this strategy will really spur the bank to action, but it may be worth it from your perspective if you can’t handle the stress of waiting months for a response. However, if the bank hasn’t actually approved the short sale yet at the time of your offer, implementing a deadline will be useless as it may take several months just for the seller to reach a short sale agreement with the lender. And even if such an agreement is struck, there is no guarantee that the short sale will go through. Experts disagree on whether short sales are a good deal for buyers. Some say that short sales are priced below market values, creating the opportunity for buyers to get a great deal or for first-time homebuyers to get into a home when they otherwise might not be able to afford one. Others say that banks have no interest in selling properties below market value and will do a comparable market analysis before setting or accepting a price for a short sale. Further, the listing price of a short sale may be an amount the seller’s agent thinks the bank might accept – rather than the amount the bank has actually agreed to accept. The bank might find the price too low, or the seller might list the property below market with the intention of generating abidding war. In some states, the seller will be obligated to pay the bank back the difference between the mortgage amount and the sale price of the home, so it’s in the seller’s best interest to get as much money as possible for the home even though he or she will see no cash from the sale. As you’ve probably gathered by now, short sale transactions are fraught with pitfalls and don’t have many compensating advantages. If you still want to proceed in an attempt to snag a bargain or simply because the property that’s perfect for you happens to be listed as a short sale, here are some precautions you should take and situations to be wary of. Make sure your agent is experienced with short sales. Because of the complexity of this type of transaction, you don’t want to work with someone who is unfamiliar with the process. Also, make sure your agent is willing to work with you on a short sale. Some agents won’t want to get involved due to bad past experiences or the poor reputation of short sales. Not only are short sales more work for agents, they sometimes offer less of a commission. The bank may not be willing to pay the listing agent the usual 5-6% commission because it is already taking a loss, and because the buyer’s agent gets a percentage of that percentage, he or she will see even less money. Given how long it will probably take the bank to reply to your offer, you should probably keep looking at other houses while you wait for a response, and you should probably proceed with the purchase of another property if you find an easier buy. Have your agent write the short sale purchase agreement in such a way that you’ll retain this flexibility. And if you’re buying on a deadline, don’t even bother with a short sale. What’s worse, the bank may continue to collect offers even if you make it to escrow. Most people would consider this unethical because the potential purchaser is likely to have shelled out a few thousand dollars on inspections, title searches and the like, at this point. Getting dropped from the deal so late in the game is a huge waste of time and money for the buyer, not to mention enormously frustrating. For all of these reasons, the listing price of a short sale must be taken with a healthy dose of skepticism. On the other hand, the bank might not counteroffer. They might just reject your offer outright, especially if you’ve written a significantly lower priced offer. Or, in the worst case scenario, they might not reply at all. Ever. Make sure the short sale is already lender approved. If the seller has not actually gone into default yet, the bank may not be interested in doing a short sale. The bank may also not be interested in a short sale if it thinks it can get more money by going into foreclosure. Short sales are already difficult because of the involvement of the original lender. If there are two lenders, you double the difficulties of completing the transaction. It takes a considerable amount of time and convincing to get a bank to agree to a short sale, so if it hasn’t agreed already, don’t waste your time. 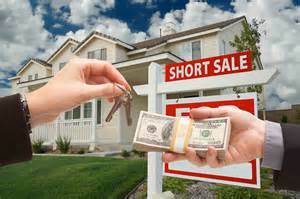 Many homes are listed as a short sale by the listing agent, but there is no guarantee that the transaction will ever be completed as such. Potential buyers of short-sale properties should proceed with a hefty dose of caution and a pound of patience. Even with a thorough understanding of the process, the best agent in the world and a willingness to wait, the bank will not always cooperate. However, short sales can be a good deal for some buyers and will occasionally close successfully.